Just like the name implies, the first player to stick six pieces on the board, and have them line up, is the winner. Compete with up to four players and align pieces in a row, a diagonal or a circle to win. The fun little pieces are made from 100% silicone, and the clear game board rotates for easy access, and advanced play by using both sides. Each player will select one of four vibrant colors, and then take turns sticking them, one at a time, to the board. Strategy comes in when one player blocks another, and thanks to the vibrant colors, range of play options, and fun popping sounds when game pieces are un-stuck, this toy is perfect for kids of all ages, and adults alike. Younger players can compete, one on one, using simple strategies, and older players can push the limits by playing with four players, both sides of the board, and advanced blocking strategies. 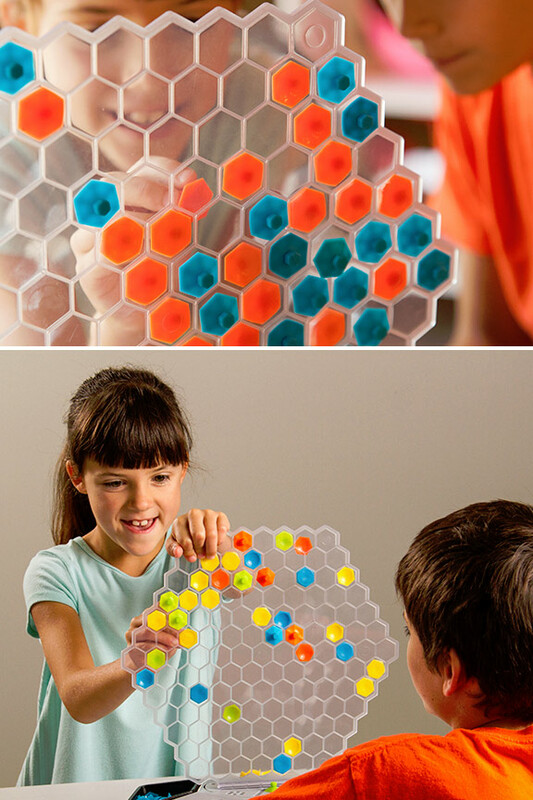 Complete with a sturdy base that doubles as a storage bin, this fun game is a nice twist on traditional options like tic tac toe and connect four. Educational. The fast and fun game play is perfect for developing hand eye coordination, early strategy, fine motor skills, and planning. Versatile. Play a simple game with two players, or make it more complex by adding more players and using both sides of the board. More Ways To win. Instead of straight lines only, players can score by placing pieces in a circle or diagonal too. Stunning. 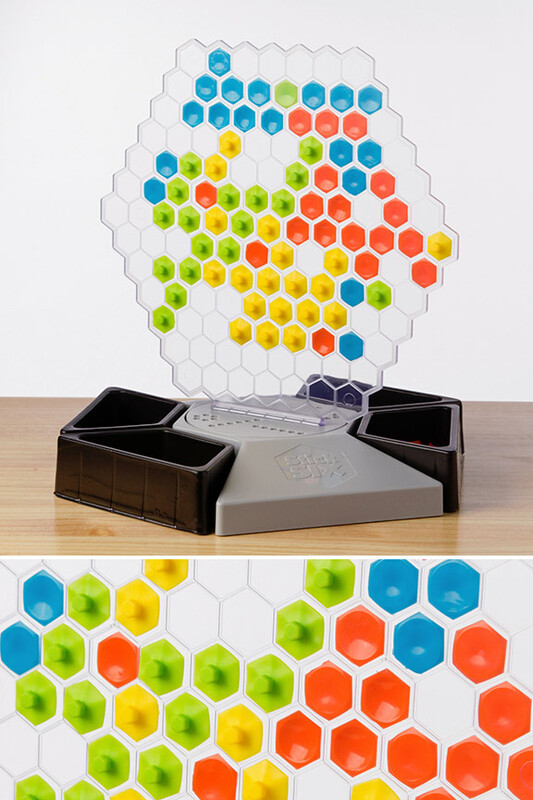 Complete with four bright colors for the game pieces and a clear, honeycomb board that rotates for ease of use, this game is as fun to look at as it is to play. Pixel-y. 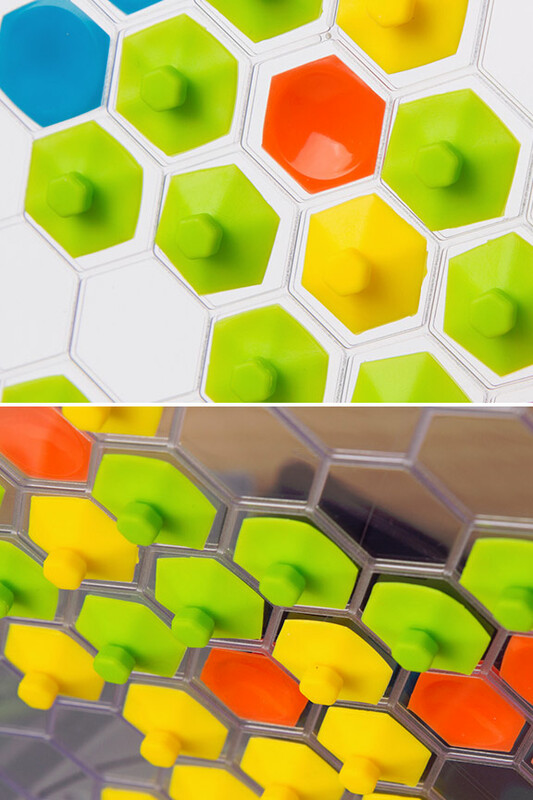 Each hexagonal piece measures 1 inch in diameter, so when you use them together, they act like pixels to form a larger picture or design. Easy Off. Each popping piece features a handy central knob for easy removal. Reusable. Use over and over again, and the sticky will never wear out. Over time simply wash with soap and water to make them sticky as new again. Safe. Made of 100% food-grade silicone, BPA-free. Size Each piece has a 1" diameter. Color Multiple: green, blue, yellow, and orange. 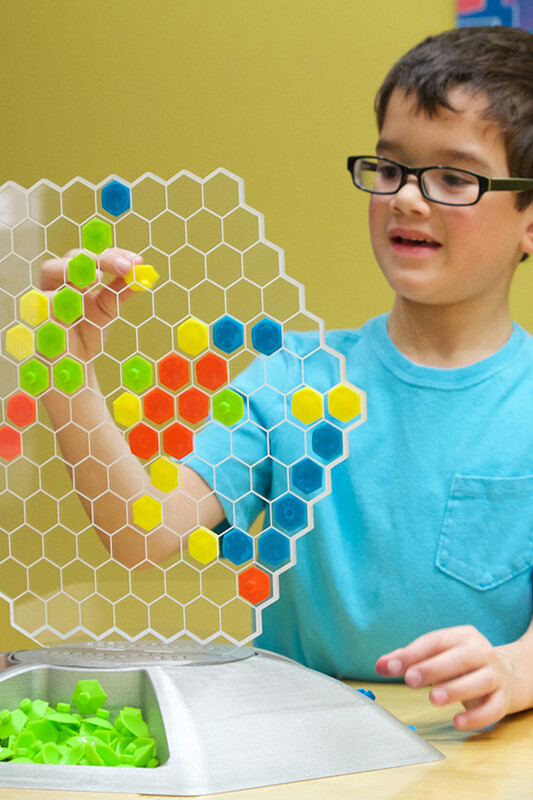 Exciting game play with vibrantly colored pieces that make fun sounds when you move them. Get six in a row, in one of three configurations to win.. Order Yours Today! Soft and Squishy Toy Cars. Durable Cars in Many Styles. Bend, Twist, Flex and Stick Together. Suction Construction Pieces With Bendable Connectors. An all-metal fidget toy with removable arms, and multi-colored bands.